Strandcamping Süd is a family-friendly campsite. 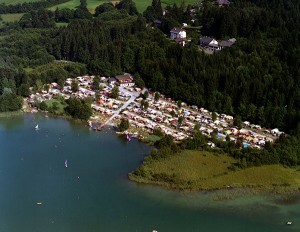 The course is situated on the southern shore of the lake Keutschacher and the woods edge. Nature lovers and families will find everything they need in order to feel comfortable. In addition to the practical facilities include washing facilities and premises, the offer from the beach buffet, the good water quality of the lake, the beautiful scenery and a variety of excursions and activities in the immediate area. 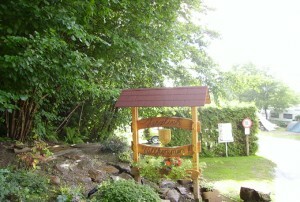 We would be very pleased to win you as guests of our landscaped campsite. We are always striving to make your stay with us as comfortable as possible ..
For leisure activities is amply provided in the immediate vicinity. From tennis, to biking (rentals available at the sports center Keutschach) horseback riding, golf (golf course just 7 km), guided hikes, fishing and Minnigolf extend the offer. For more information, see our camping office. Furthermore, we are happy to inform you about current cultural events in the area. We try very hard to make your stay as pleasant as possible. Because your recovery is our priority! We welcome you to our campsite. We are very pleased to welcome you here and wish you a relaxing stay.